Discover the Filorga Optim Eyes Sampling Kit; a high-performance trio that work in tandem to restore bright, youthful-looking eyes. The skincare collection combines a gentle makeup-removing lotion, a pair of anti-ageing eye patches and a radiance-renewing eye cream. A three-phase eye makeup remover serum that effectively removes even waterproof eye makeup whilst moisturising and revitalising skin and lashes. Combining an eye makeup remover with a hydrating serum, the shake-to-wake formula utilises an Oleo-Clean Complex to instantly cleanse away eye makeup, and a stimulating Peptide to help reduce signs of fatigue. A Protein Booster fortifies lashes, leaving them stronger and longer-looking. Delicate skin around the eyes feels fresh, replenished and revitalised. 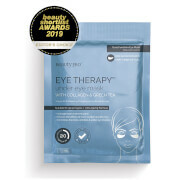 A revitalising, triple-action treatment that works to combat dark circles and puffiness around the delicate eye area. Powered by Witch Hazel and Cornflower, the textured patches help to decongest and eliminate eye bags, whilst a polysaccharide-rich active ingredient helps to restore youthful luminosity. A black carrageenan gel minimises the appearance of fine lines and wrinkles to reveal smoother, more refined eye contour. Suitable for all skin types. 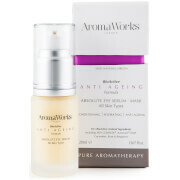 A triple-action eye cream that works to tackle dark circles, puffiness and wrinkles. The effective formula encourages the elimination of pigmented residues, which in turn minimises dark circles to leave eyes awakened with reduced puffiness. Utilising a potent blend of Hyaluronic Acid and NCTF (Filorga’s exclusive complex), the vitamin-rich cream visibly plumps skin to reduce the appearance of wrinkles and fine lines at the eye contour and create a refreshed appearance. Ophthalmologically tested. Lotion: Use morning and/or evening with a cotton pad. Shake well before use. Do not rinse. For external use only. Patch: Place a patch on your cleansed eye area. Leave to act for 15 minutes. You may experience slight tingling during use - this is a sign that the product is working. After use, dispose of the patch. Use once or twice weekly. Eye Cream: Morning and evening, gently dab around the eye contour with the fingertips. Store in the refrigerator to optimise the lifting effect. Lotion: Aqua (Water), Paraffinum Liquidum (Mineral Oil), Dimethicone, Isohexadecane, Pentylene Glycol, Butylene Glycol, Sodium Chloride, Peg-8 Caprylic/ Capric Glycerides, Disodium Edta, Capparis Spinosa Fruit Extract, Octyldodecyl Myristate, Parfum (Fragrance), Caprylyl Glycol, Styrene/ Vp Copolymer, Acetyl Tetrapeptide-5, Dextran, Acetyl Tetrapeptide-3, Trifolium Pratense (Clover) Flower Extract, CI 60725 (Violet 2), CI 61565 (Green 6), Sorbic Acid. Patch: Aqua (Water), Glycerin, Chondrus Crispus Powder, Pentylene Glycol, Ceratonia Sliqua Gum, Propylene Glycol, Centaurea Cyanus Flower Water, CI 77499 (Iron Oxides), Saccharomyces Cerevisiae Extract, Sucrose, Lactic Acid, Glycyrrhiza Glabra (Licorice) Root Extract, Hamamelis Virginiana (Witch Hazel) Leaf Extract, Sodium Citrate, Xanthan Gum, Ethylhexylglycerin, Citric Acid, Phenoxyethanol, Potassium Sorbate, Sodium Benzoate. 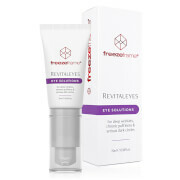 Eye Cream: Aqua (Water), Glycerin, Caprylic/Capric Triglyceride, C12-16 Alcohols, Cyclopentasiloxane, Peg-8, Polyacrylate-13, Hydrogenated Lecithin, Palmitic Acid, Prunus Domestica Seed Oil, Polyisobutene, Cyclohexasiloxane, Sucrose Palmitate, Parfum (Fragrance), Dimethicone Crosspolymer, Steareth-20, Caprylyl Glycol, Chlorphenesin, Hesperidin Methyl Chalcone, Tetrasodium Edta, Glyceryl Linoleate, Polysorbate 20, Tromethamine, Prunus Amygdalus Dulcis (Sweet Almond) Oil, Sorbitan Isostearate, Sodium Chloride, Sodium Polyacrylate, Chlorhexidine Digluconate, Glucose, Phenoxyethanol, Sodium Hyaluronate, Potassium Sorbate, Citric Acid, N-Hydroxysuccinimide, Potassium Chloride, Dipeptide-2, Calcium Chloride, Magnesium Sulfate, Glutamine, Sodium Phosphate, Palmitoyl Tetrapeptide-7, Ascorbic Acid, Sodium Acetate, Tocopherol, Lysine Hcl, Arginine, Alanine, Histidine, Valine, Chrysin, Palmitoyl Tripeptide-1, Leucine, Threonine, Isoleucine, Tryptophan, Phenylalanine, Tyrosine, Glycine, Polysorbate 80, Serine, Deoxyadenosine, Cystine, Cyanocobalamin, Deoxycytidine, Deoxyguanosine, Deoxythymidine, Glutathione, Asparagine, Aspartic Acid, Ornithine, Glutamic Acid, Nicotinamide Adenine Dinucleotide, Proline, Aminobutyric Acid, Methionine, Taurine, Hydroxyproline, Glucosamine, Coenzyme A, Glucuronolactone, Sodium Glucuronate, Thiamine Diphosphate, Disodium Flavine Adenine Dinucleotide, Sodium Uridine Triphosphate, Retinyl Acetate, Inositol, Methyl Deoxycytidine, Niacin, Niacinamide, Pyridoxal 5-Phosphate, Pyridoxine Hcl, Biotin, Calcium Pantothenate, Folic Acid, Riboflavin, Tocopheryl Phosphate.